This is both exciting and humbling. 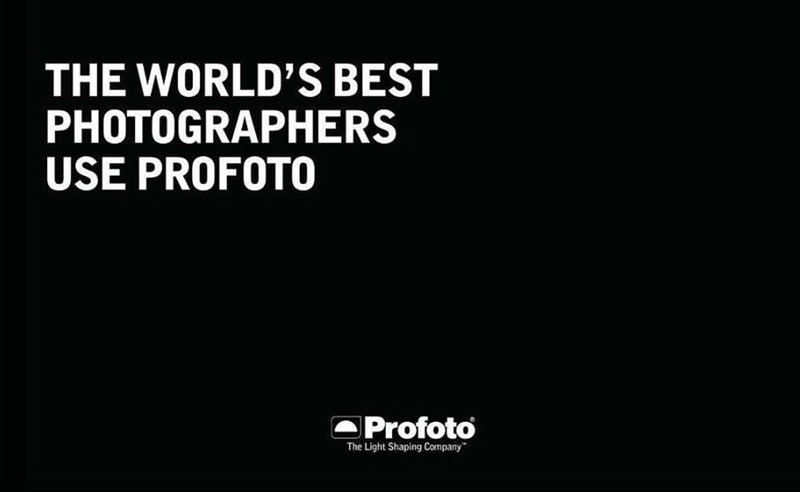 Profoto is the premier maker of photographic lighting gear. 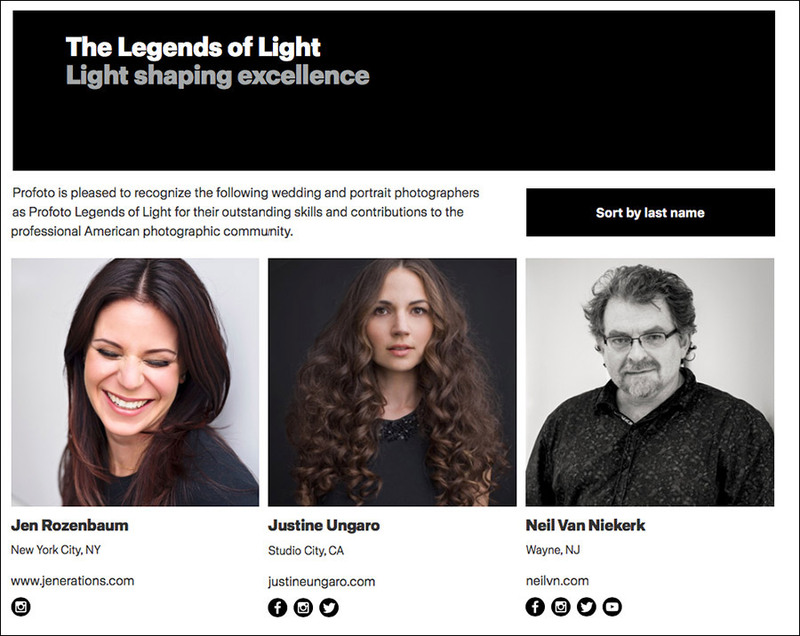 Their USA branch, Profoto USA, has included me in their list of ‘Legends Of Light‘, alongside some of the biggest names in the photography world … some of whom I can even count as friends and peers. Check out the list! Now the challenge is to live up to this! Here are the articles on the Tangents blog where I show how I use Profoto flashes on location and in the studio. I’m featured in the latest edition of Professional Photographer magazine – it is the official magazine of the Professional Photographers of America. 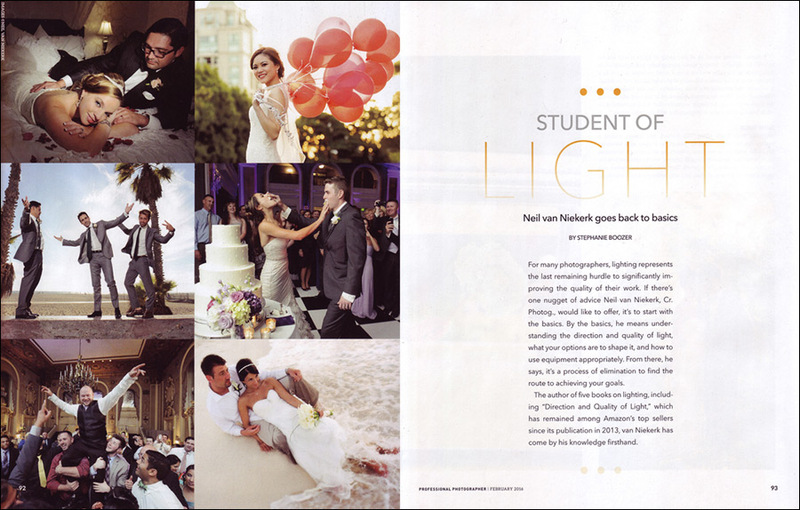 It is a huge honor that the editors at Professional Photographer approached me and wrote a feature about my wedding photography. 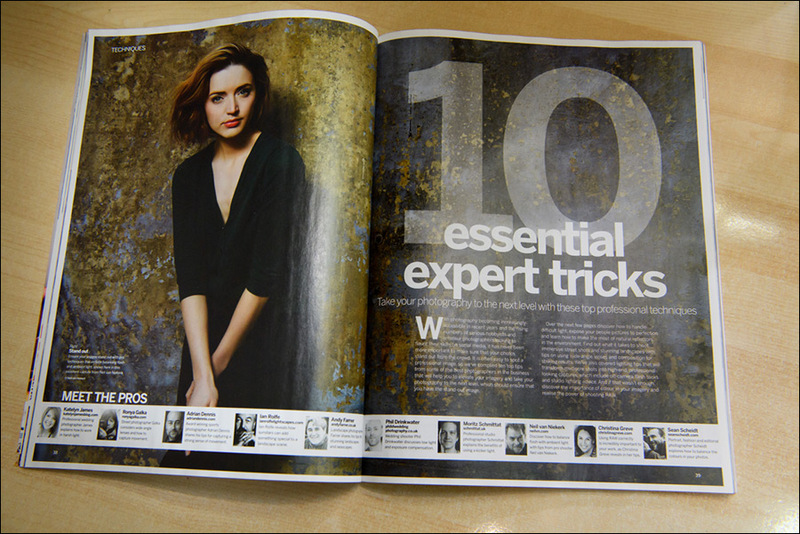 The article concentrates on my approach to lighting, with a reference to the books I’ve written on flash photography. For the photographs I selected to accompany the article, I chose what I think are images representative of my style – clean and crisp with strong colors. Over the years, as my style in wedding photography matured, I find that I tend to shoot more and more in an unfussy, uncluttered way … a way that I hope will prove to be timeless. 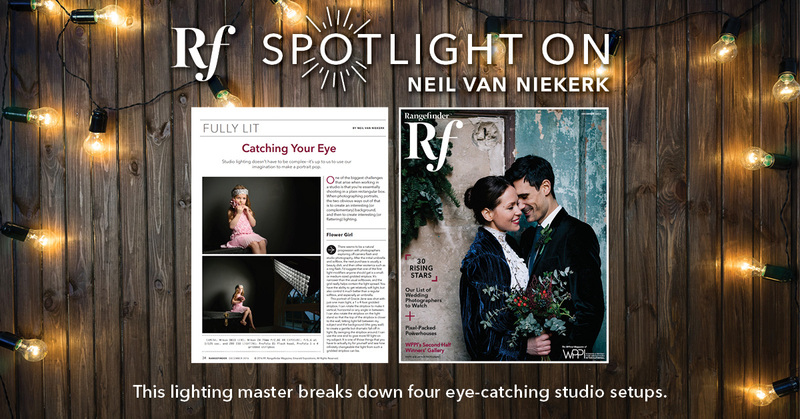 For the selection of photos for this article, I biased it towards images of the couple from the romantic portrait session on their wedding day. 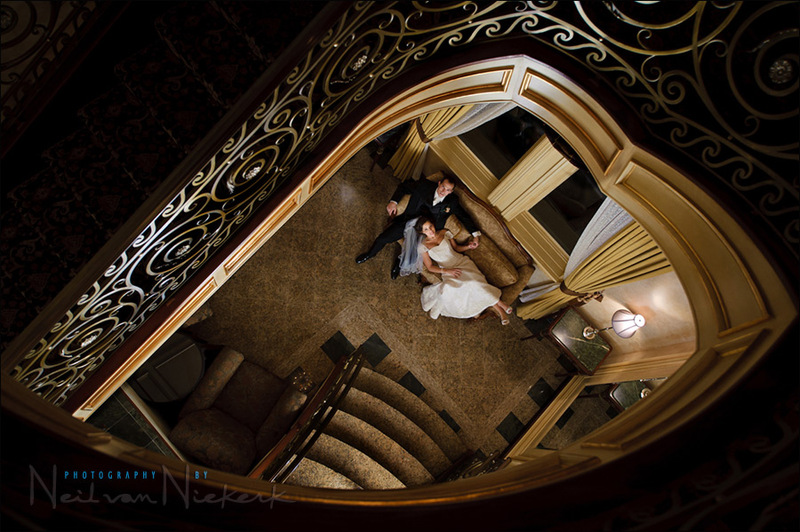 That’s my favorite part of the wedding day – collaborating with the bride and groom for stylish photographs of the two of them together. A photographer’s vision and skill should be measured by the photographs. The results. The art. In a sense then, the specific photography gear that is used, should be of less consequence. But I am a strong believer in using the best tools out there – they enable me to do my best. Over all the years, the more proficient I became, the more selective I became about what I used. Eclectic in one sense, but quite selective. I like quality photo gear. They make my life easier, and make me look good when I am busy shooting. The reliability and ease of use are paramount. So with time, I gravitated towards using Profoto for my studio lighting and location lighting. With this, it was hugely exciting, and a massive compliment that Profoto picked me as one of the photographers they name-checked in this big fold-out advert that will appear in several of the big photography industry magazines that cater to portrait and wedding photographers. See if you notice any familiar faces there?